Dr. Kesarwani’s Cosmedical Rejuvenation Clinic is pleased to offer cosmetic surgery services such as abdominoplasty, acne laser treatment, blepharoplasty surgery, breast enhancement surgery, breast reconstruction, brow lift, cutera, facial cosmetic surgery, fat grafting to breast, juvederm, laser liposuction, microdermabrasion treatment, nose job, photo rejuvenation, short scar facelift, thread lift, rhinoplasty to the residents of Barrie. Barrie is gaining a strong reputation for its boutiques, local art, and live theatre. The historic downtown and iconic waterfront of Barrie are keen tourist attractions in the summer months and the city’s festivals draw visitors from all over the world.With bustling city life and trying to juggle a family and career, sometimes it’s nice to take a minute to really care about yourself. The pressure to both work your hardest and look your best can be overwhelming in a city that is growing as quickly as Barrie. Let Dr. Kesarwani and the staff at Cosmedical take care of your aesthetic half so you can focus on your professional life. Because of Barrie’s proximity to Toronto, it makes the most sense to travel the few extra kilometers into the city to ensure you have the smoothest and most professional experience possible. 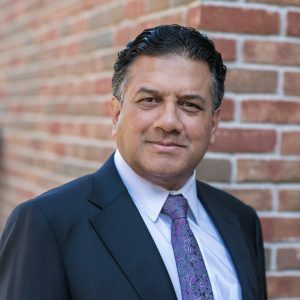 The highest rated and most talented cosmetic plastic surgeons are in Toronto and Dr. Kesarwani is an incredibly talented doctor at the top of his game. He is known for a multitude of procedures including breast lifts and augmentation, facelifts, and non-surgical procedures like Botox or Juvederm filler treatments.